East View Map Link (EVML), a certified SHOM print on demand provider; SHOM provides mariners with up-to-date Service Hydrographique et Oceanographique de la Marine (SHOM) approved nautical charts. 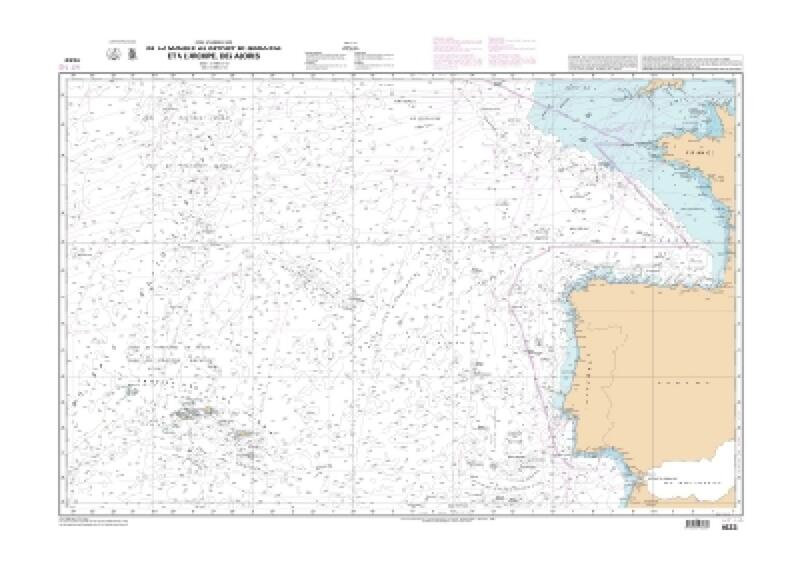 Our De La Manche au Detroit de Gibraltar et a l'archipel des Agores nautical chart (Map Index 6623) is printed using high resolution, heavyweight and acid free paper. All charts are printed with the latest Notice to Mariners (NTMs), and meet U. S. and international carriage requirements for commercial vessels defined in SOLAS Chapter V Regulation 19.2.1.772. Waterproof options are also available. 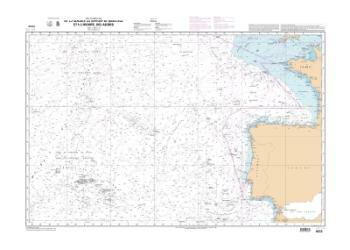 All SHOM nautical charts ship rolled, and are printed by East View Map Link, LLC.